Francis Upritchard is a New Zealand born artist living in London. She has exhibited extensively in Aotearoa New Zealand, Europe and America since graduating from Canterbury University's Ilam School of Fine Arts in 1997. 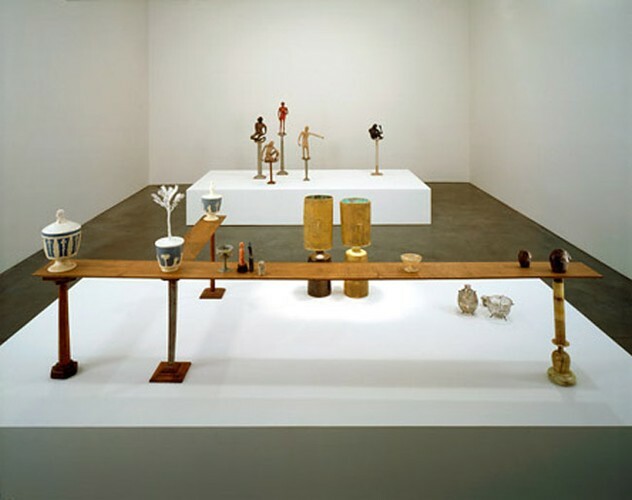 In 2006 Francis Upritchard was the winner of the Walters Prize, New Zealand's most prestigious contemporary art prize. In 2007–08 Francis Upritchard took up a three month residency at the Govett-Brewster Art Gallery resulting in the exhibition ‘rainwob I’ before participating in a residency at Artspace Sydney where she presented ‘rainwob II’. These exhibitions continue to explore Upritchard's fascination with utopian drives, where fragments of real and fictional histories are retrieved, reworked and reinvested with new meaning. The result is prophetic in its confusion and misunderstanding; the ancient mixes it up with the future, this is evolution gone wild. Upritchard has maintained a regular exhibiting profile in New Zealand, and returns regularly to make new work. In addition to co-running The Bart Wells Institute, a gallery she co-founded with Luke Gottelier, Upritchard has curated a number of group exhibitions in London and New Zealand. The artist's books include Human Problems, with text by Hari Kunzru, published by Kate MacGarry and Veenman Publishers in 2006 and Every Colour By Itself, designed by Åbäke, launched in April 2009.